The holidays are upon us and that means that most of us will be eating lots of sweet and greasy foods. Once the holidays are over many of us might feel like we’ve just gained an extra 10 or 20 pounds. 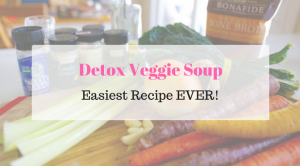 What better way to begin easily dropping that extra weight than by trying a new detox soup? 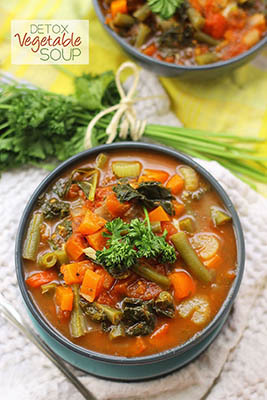 Our classic detox vegetable soup recipe is the perfect appetizer or small meal that you can enjoy any day of the week! It features eight different vegetables which is more than most salad recipes include. Add in some chicken, beef or beans for a nice little protein boost and you can also help build stronger bones, muscles, skin and cartilage. The total cook time is 40 minutes and it serves 6-8 people. 1) Heat up a large pot over med-high heat and add olive oil. 2) Add onion, carrot and celery. Then, cook for 3-5 minutes or until onions are translucent. 3) Add in garlic and bell pepper and cook for 1 minute. 4) Add in green beans and cook for another minute. 5) Top with diced tomatoes, vegetable stock and spices and give it a stir. 6) Bring to a boil and then let simmer, uncovered over med-low heat for 25 minutes. 7) Add in kale and cook for 5 more minutes (it will wilt). 8) Top with fresh parsley and serve warm. 9) Keep in the refrigerator for a week or freeze for several months. After you’ve completed all of the steps above your new detox vegetable soup should be all ready to go! Pack some for friends or simply store the remainder inside your refrigerator to enjoy a bowl anytime you’re hungry. This recipe doesn’t just give you some yummy soup to enjoy, it also offers numerous health benefits as well. 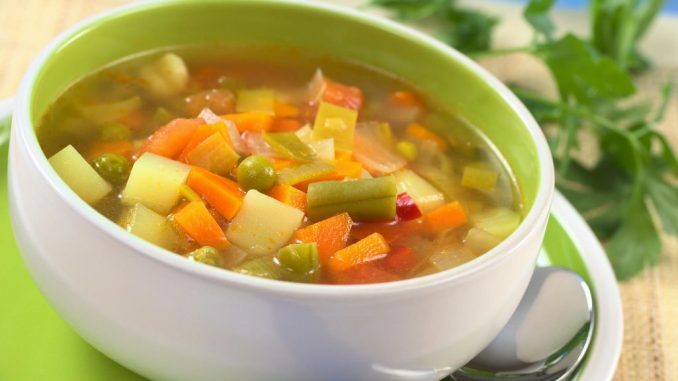 Improved mood, loss of weight and replenished skin are just a few great benefits you can enjoy by eating fresh detox vegetable soup on a daily basis.